Against all the odds, and rather unexpectedly, Kimi Räikkönen had a late surge in votes to see him take the Sidepodcast Best Looking Driver victory. We received a total of 164 votes, and after a slow start, it looked as though Nico Rosberg was going to creep into the lead and celebrate victory. 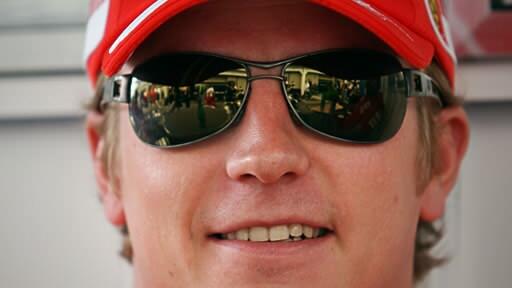 However, almost out of nowhere, Kimi suddenly took on a life of his own and snatched glory from his fellow driver. If only he could start doing that out on track a little bit more. Kimi ended up with 39 votes, with Rosberg collecting 23. Other notable entrants were Alonso with 19, Button on 16, and Webber with 13. Everyone else was below double figures, with four drivers only receiving a single vote: Kovalainen, Massa, Nakajima and Sutil. We suspect Kaz's vote was out of pity as well, as the poor man was the last to get himself off the mark. Thanks to everyone who participated in the voting, I'm sure Kimi appreciates it and will celebrate in his own unique way. We'll have more polls later in the year.